So I did it, after days of struggling to read any book, let alone the only one I’d set myself for Frightfall, I finally found my rhythm late last week and got not only Frankenstein but also Eeny Meeny finished too (a review of that will follow later in the week). So, what did I think of Frankenstein? I liked it a lot, which I’d hoped I would. A gothic novel and one of those books that you think you know the story of, even if you don’t, it was written by Mary Shelley when she was 18 and travelling in Europe with her future husband – Percy Shelley – and Lord Byron. According to more than one source I read, they had challenged themselves to see who could write the best horror story – I didn’t find out if Mary Shelley won – and Frankenstein came to her in a dream. The idea of a scientist who creates a monster and lives to regret it. Having not read Frankenstein before, I was under the (apparently common) misconception that that was the name of the monster, not the man who created him. That aside, though, the story itself seemed very familiar; even though I would swear I have never read the book or seen the film, I must have in my (much) younger days. It is told by Frankenstein to the captain of a ship that rescues him from the icy waters around Siberia. The captain (Robert Walton) introduces and ends the story through letters to his sister and the story itself was easy to read and easy to follow (coming in at just over 250 pages in my version). Once I had gotten the rhythm, as I said, I found myself turning the pages and getting drawn into what was happening. I didn’t find it scary though but, instead, quite sad. Frankenstein’s monster (he doesn’t have a name) didn’t ask to be created and, once he was, was rejected by the man who created him. He came to understand the world around him and that there was no place in it for him and no one willing to take the time to understand what he might be thinking or feeling. It seemed to be a given that if he looked like a monster, he must be one, and so that is what he became, seeking revenge on Frankenstein and his family. The revenge he took and the people he killed – it all seemed inevitable from Frankenstein’s first selfish act of thinking he could control life itself and I had no sympathy for him (Frankenstein) as a result, especially when his scientific mind couldn’t seem to see anything good in the creature. I really did wish I could reach into the pages and give him a shake and say “listen to what your creation is saying”. Towards the end of the novel, he does seem to have a moment of clarity, saying “In a fit of enthusiastic madness I created a rational creature, and was bound towards him, to assure, as far as was in my power, his happiness and well-being. This was my duty.”, but it doesn’t seem to last long. 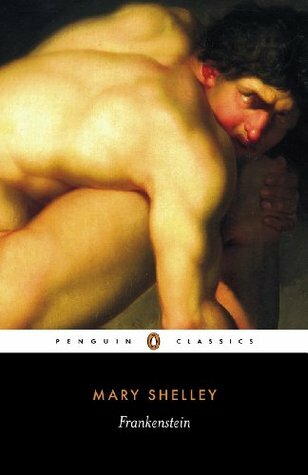 There is a lot in Frankenstein I feel like I need to re-read, that there are thoughts on friendship and responsibility and the general need to be good to each other. At some point, I will do that. In the meantime, though, I am just happy to enjoy it for what I had hoped it would be – a good horror story! I know very little about Frankenstein though of course I know of it. I know I haven’t read it. It sounds surprisingly tragic. It sounds like it’d be a great book to listen to. I think with the right narrator it would be good on audio. It is quite dramatic. Every time I read one of these well known classics I am surprised by how well I think I know a book I actually know nothing about. It is more tragic than scary I think. I felt awful for the “monster”. Fascinating review, Emma. I think I might have to pick that up. Definitely worth a read…and a quick one! I still have not read this! I read Dracula years ago…and loved it. So I know I would love this as well. I’m glad you enjoyed it and that you were able to read it for FrightFall. Thanks again for joining in! Thank you. I don’t know if I have ever seen the film – I might check it out. Note: I receive a small payment for purchases made through the amazon links at the end of posts. This does not impact my review of books - I will always say what I liked, loved and just didn't hit the mark. However, the payments help pay for me to buy more books - which is never a bad thing!